As technology continues to splash onto the world stage, marketing must inevitably adapt to its break neck speed. Tech and marketing tend to go hand in hand quite well, and this latest techno-effort is no acceptation to the rule. There's a new game in town that marketers need to know about, which builds on technology they may have already had in retail. That technology - Radio Frequency Identification (RFID) - allows marketers to actually track the real time buyer's journey and provide marketing touch points in real time. 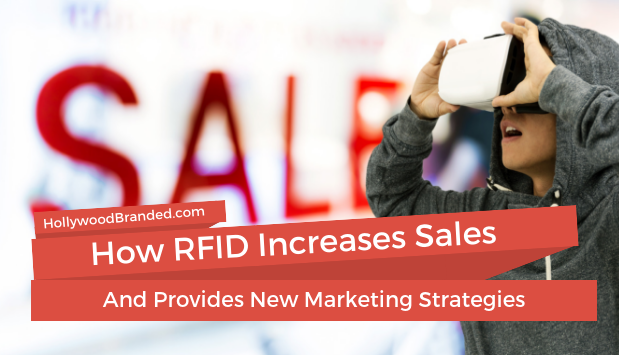 In this blog, Hollywood Branded explores how RFID marketing strategies increase sales and provide new options for all brands to learn from. The one question our agency can count on to hear at least once a day from a brand inquiry is... so how much does it cost. And quite frankly, that's a hard question to give an instant answer to. It is not like there is a schedule out there even similar to a network's media rate card that defines cost A, B or C. And there are so many variables that have to be considered that it makes each brand's inquiry completely unique. And there is no way to compare apples to oranges as far as content partnerships go - because each is unique in its content creator team, distributor limitations, cast allowances and of course, storyline. But I'm willing to give it a shot! 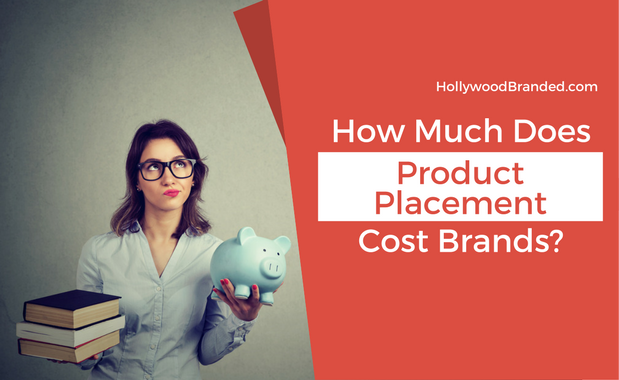 In this blog, Hollywood Branded shares some generalizations on how much product placement costs - from single one offs to comprehensive programs. Entertainment marketing has strong crossover to public relations campaigns, but remains a niche specialty practice. In many cases, securing a placement, integration, or partnership can only reach its maximum potential if paired with a sound PR strategy. There are countless times when we have activated a campaign that we've then built a PR program to support it. Why? Well if you have something on screen, you need to start bringing it to as many other places as possible. It brings the campaign to life outside of the confines of what a producer is willing to showcase on air, and it allows the campaign to have a longer shelf life. 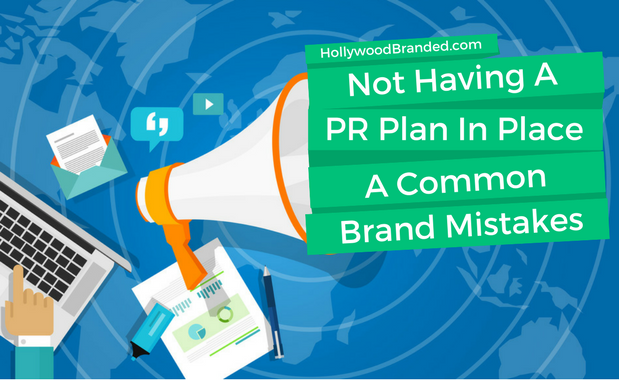 In this blog, Hollywood Branded discusses the importance of public relations for your brand either to support other initiatives or as a stand alone plan. 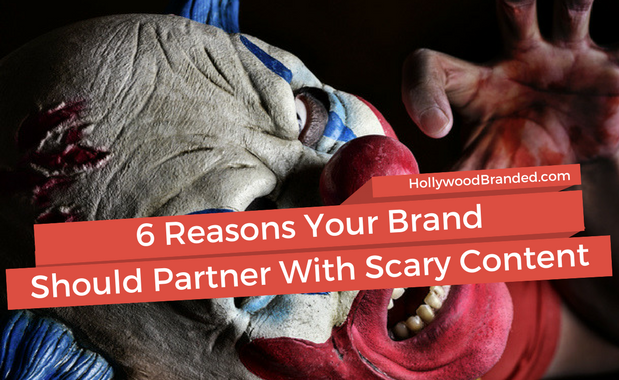 Serial killers, bloody crime scenes, supernatural villains, and other typical components of a scary movie can be frightening, but the idea of having your brand appear as product placement in horror movies doesn’t have to be. And in fact, brands see measureable sales success from horror content partnerships. While many brands immediately reject the idea of such partnerships, some of the largest brands have realized the benefits, and create comprehensive campaigns to support their product placement exposures. In this blog, Hollywood Branded discusses the FALSE premise that the negative feelings a viewer experiences while being scared will be transferred to the participating brand - as research proves this is simply not the case. And that high engagement actually occurs. 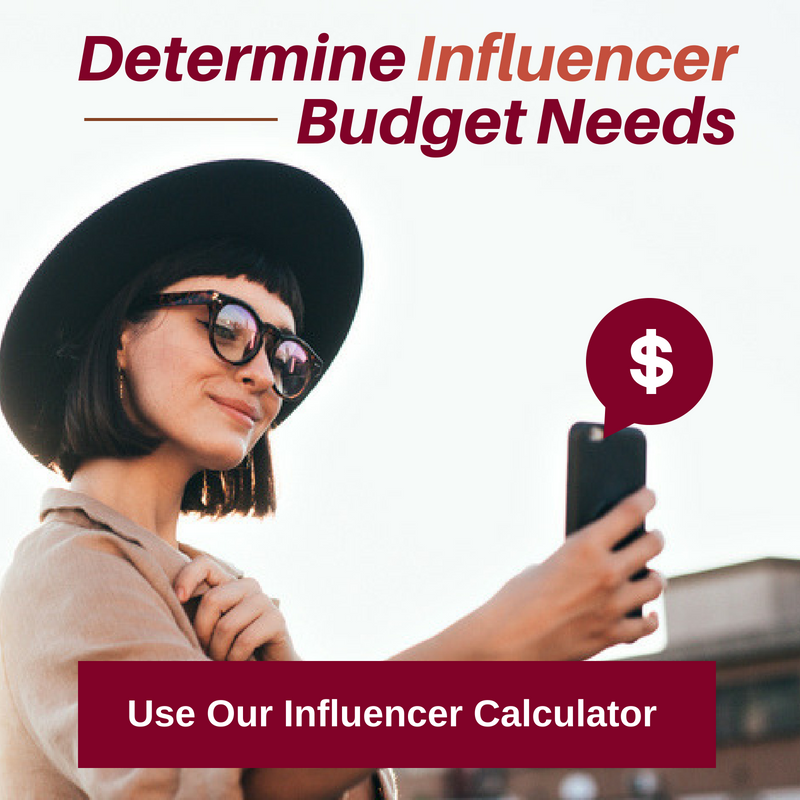 Partnering with a celebrity social influencer and tapping into their fan base is one of the best ways for a brand to reach an already engaged and targeted audience, and a strategy that highly influences future purchase decisions based on that association. The instant gratification and social nature of the digital space provides brand marketers the ability to immediately and effectively interact with millions of potential customers, and receive measureable results, from unique hashtags to trackable promo codes that allow for brand marketers to measure ROI. 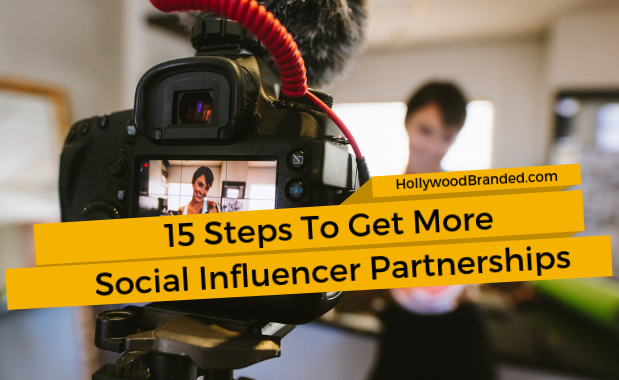 In this blog post, Hollywood Branded provides 15 steps brand managers should take to get more social influencer partnerships to raise brand awareness and drive sales.